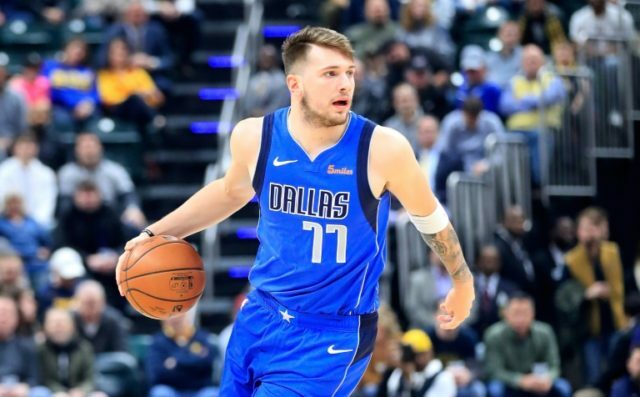 Los Angeles (AFP) – Dallas rookie Luka Doncic admits he let frustration get the better of him in the Mavericks’ 111-99 loss against the Indiana Pacers, earning his first ejection from an NBA game. The 19-year-old Slovenian, who arrived in the NBA after starring in the EuroLeague, has earned praise for his maturity as well as his skills and basketball savvy. But his exasperation with the officiating on Saturday night saw him tossed for a second technical foul when he booted a ball into the stands in the third quarter. “I wasn’t playing good for sure,” said Doncic, who finished with eight points, six assists and five rebounds. Mavs coach Rick Carlisle was sympathetic, but added that the team could ill-afford that kind of outburst from a key contributor. Doncic said his “soccer” kick was not meant to be hostile. He added that he didn’t know that in the NBA sending a ball into the stands would prompt the ejection. “Different rules in Europe,” Doncic said, adding that he realized now he should take a leaf from the book of Mavs icon Dirk Nowitzki, another European transplant now in his 21st NBA season.